Jeffrey Kline with Geoffrey Riley. If you pay much attention to the details of wildland firefighting, you see references to "structural protection crews." These are the firefighters trained to protect buildings in and near the forest, a different skillset to building lines around wildfires. The skills are needed because of people living in homes near and among the trees. As fires grow bigger and more destructive, more people question the practice of living in fire-prone country. Jeffrey Kline researches this and other issues at the Pacific Northwest Research Station in Corvallis. Andy Stahl with Geoffrey Riley. 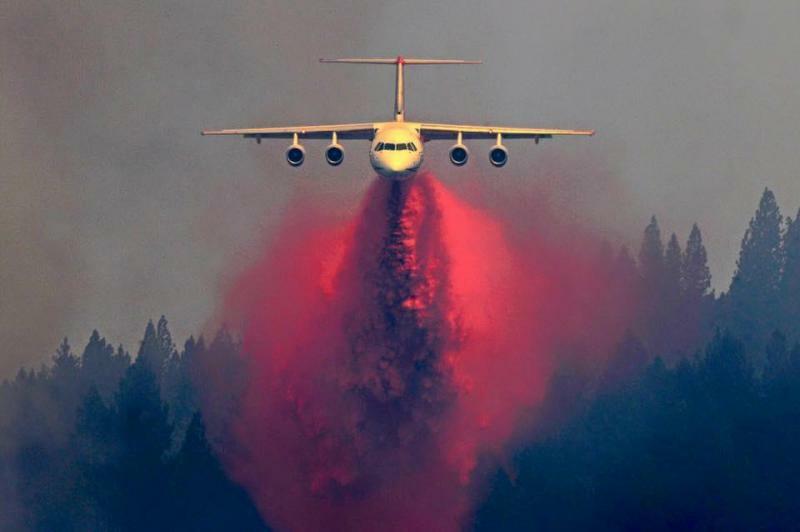 Sometime in July, the U.S. Forest Service air tanker base in Medford pumped its millionth gallon of fire retardant into a plane. That was just a week after lightning started many fires around the region, and a figure usually not reached until the end of fire season. Across the country, the use of the red slurry has doubled as fires and fire seasons have grown more intense. 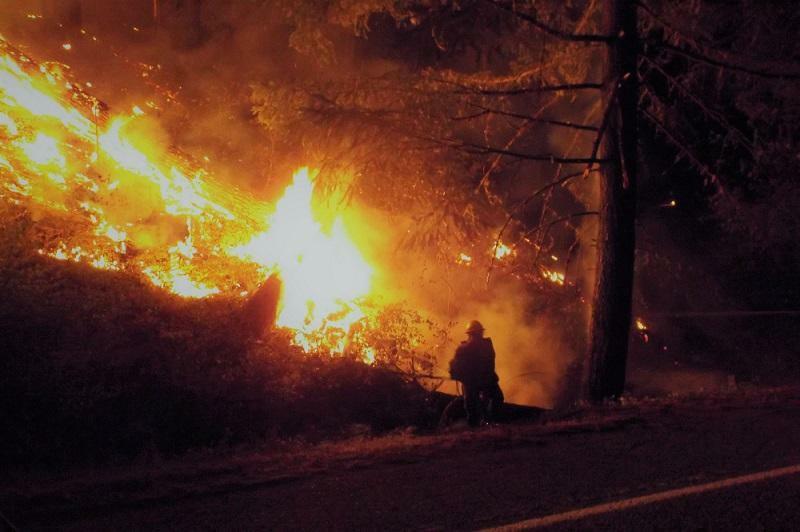 Harold Zald lays out his research on the Douglas Complex fires of 2013. You can't have a forest fire without an argument about what contributed to the severity of the fire. 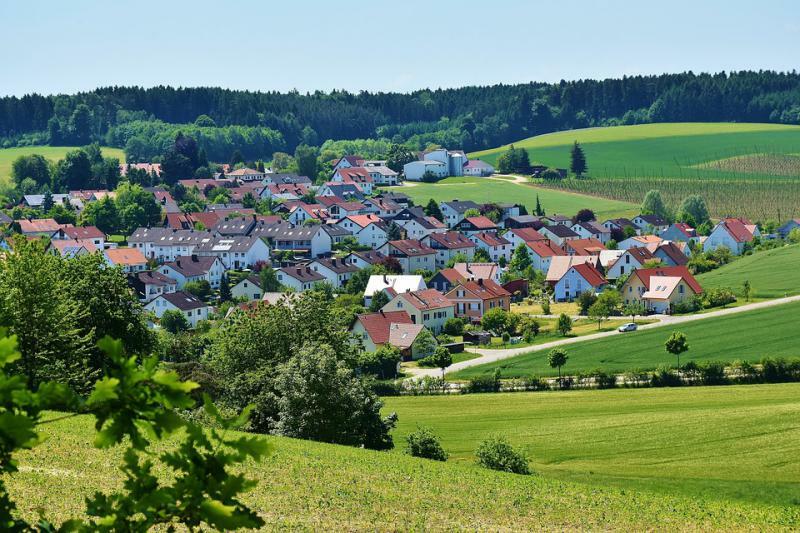 Now researchers from the forestry departments at Humboldt State and Oregon State Universities weigh in with research on differences between public and private land. 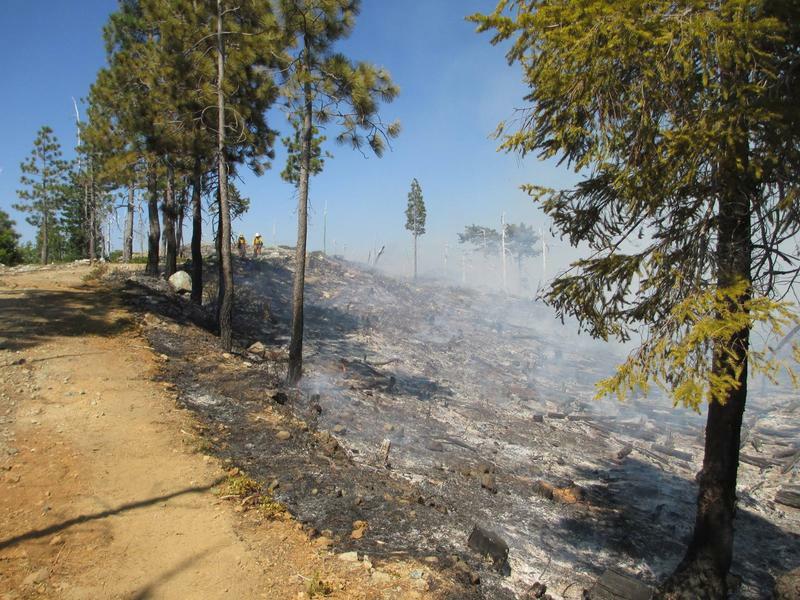 In general, the work found that the fire severity is greater on private lands with younger trees, most of the same type. Conversely, the fire severity was less on adjacent public lands with greater variety of tree species and age. Matt Dias explains the plan and its development. 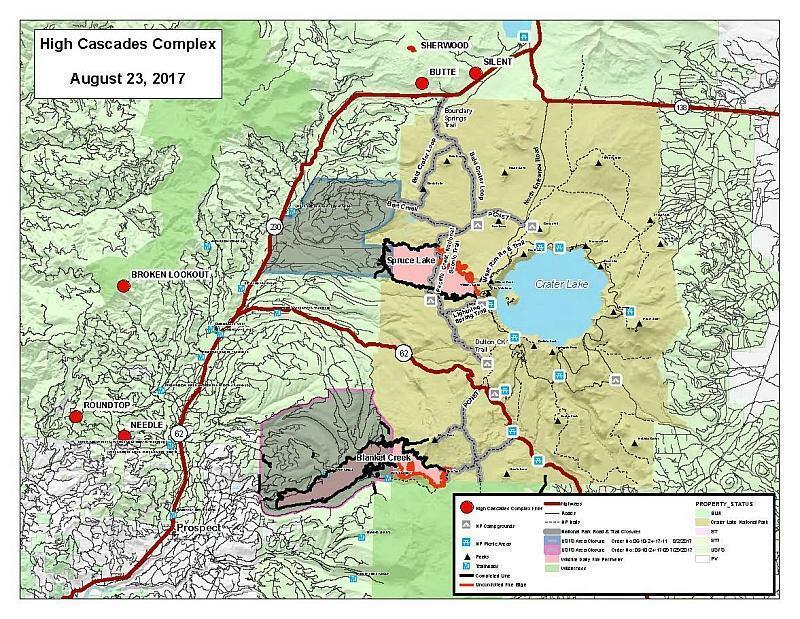 Just four weeks after the California Board of Forestry and Fire Protection released its draft environmental impact report on the Vegetation Treatment Program (VTP), the largest fire in the state's history broke out. The Thomas fire destroyed or damaged more than a thousand homes north of Los Angeles. The VTP is designed to treat the landscape in a variety of ways to prevent future fires from getting so huge. The comment period on the environmental impact report just closed. Camille Stevens-Rumann talks about forests. After a major wildfire, we can at least console ourselves with the knowledge that forests grow back. Or do they? New research out of Colorado State University examined forest fire zones in several Western states... and found that on the warmer Earth of today, forest regeneration happens more slowly, or not at all. Camille Stevens-Rumann is an assistant professor at CSU. Chris Chambers and Alison Lerch describe Ashland's anti-fire efforts. 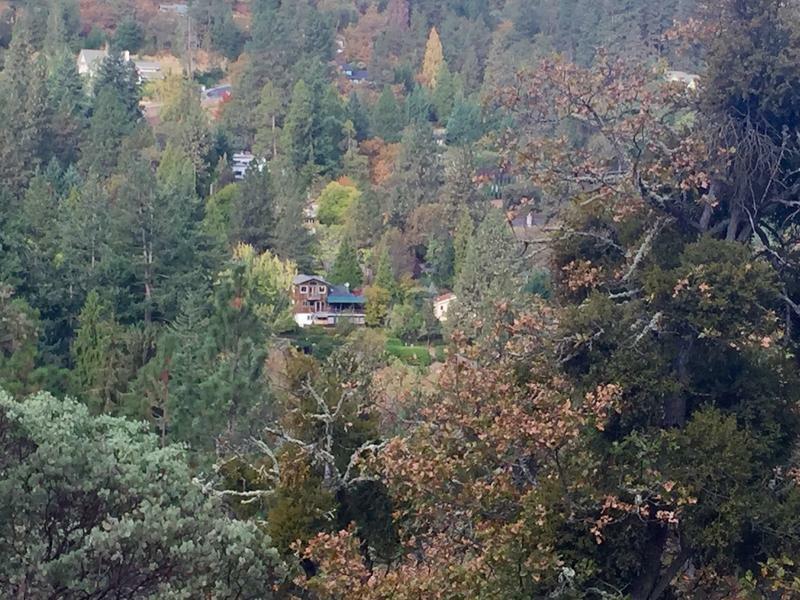 The fires in the Northern California wine country are just the latest example of the dangers of houses set close in to areas with a lot of vegetation, like forests. It's a concern of any residential area at the edge of the forest, and that includes the entire city of Ashland. The city fire department long ago adopted the Firewise campaign to help people take steps to defend against the possibility of wildfire. 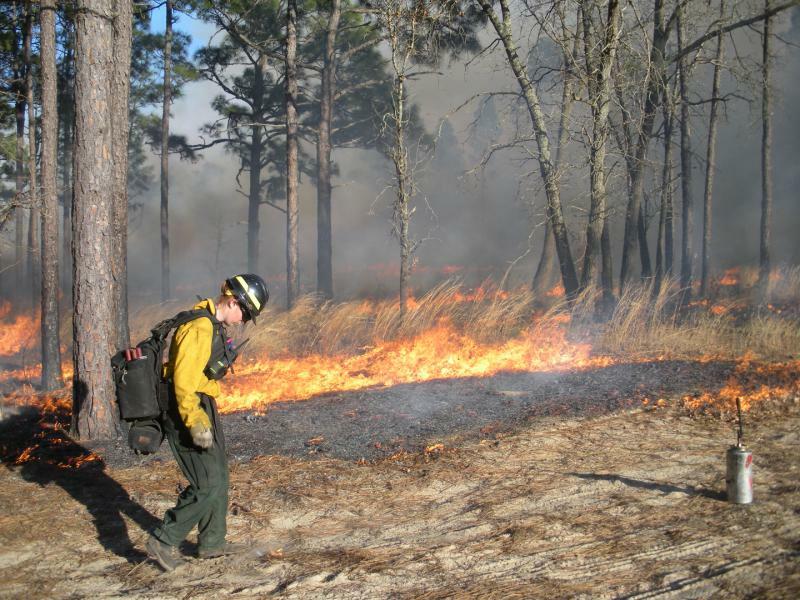 Chris Ramey and Rony Reed describe prescribed burns. After a long and smoky fire season, plenty of us are more than happy to not even think about outdoor fires. But then we remember that fire is part of the ecosystems of the lands around us. And as a reminder, this week marks the beginning of the annual Klamath River Prescribed Fire Training Exchange (TREX), hosted by the Mid-Klamath Watershed Council. So there will be smoke again in the Klamath River valley, just not as much as we saw over the summer. Stepping Back For A Wider View Of "Megafire"
Michael Kodas traveled far and wide for "Megafire." 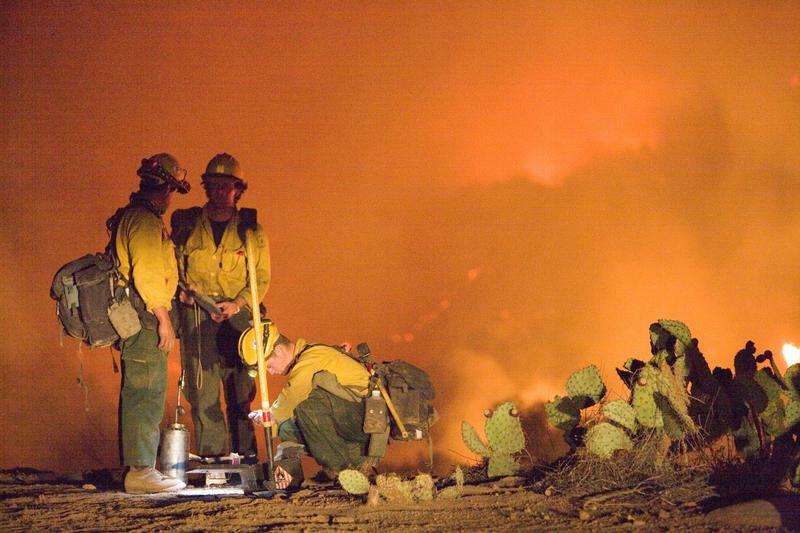 The heavy fire season of this summer is just the latest in what appears to be a growing trend. Even fires that are not terribly large or intense can have drastic consequences, large loss of life and property. Michael Kodas examines the trend in his book Megafire: The Race to Extinguish a Deadly Epidemic of Flame. UPDATE: WEDNESDAY, AUG. 23 ... In the High Cascades Complex, fire growth was seen on Blanket Creek Fire, crossing the Pacific Crest Trail in the Sky Lakes Wilderness south of Crater Lake National Park. The weather pattern is preventing smoke from dispersing which has resulted in multiple days of very unhealthy conditions for several locations. Karen Ripley, Sonny Faghera, and Melissa Cano provide fire updates. Smoke has been a more regular feature of the region's skies of late. Up until the beginning of August, the fire season did not feature the huge outbreaks of fires of recent years. But it may just be a matter of time. 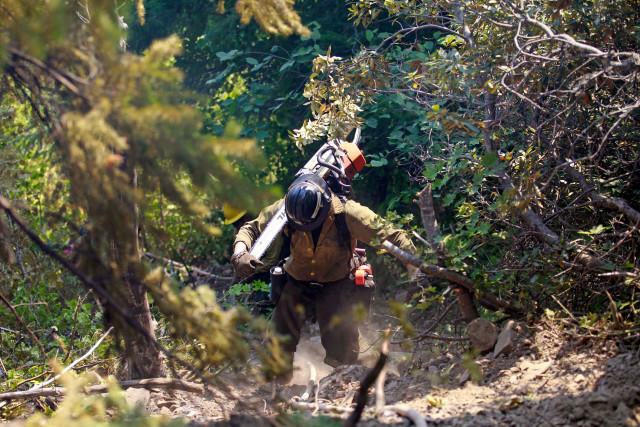 Whatever happens, crews and equipment from Oregon Department of Forestry and other agencies are ready for lightning or human-caused fires, or whatever comes their way. 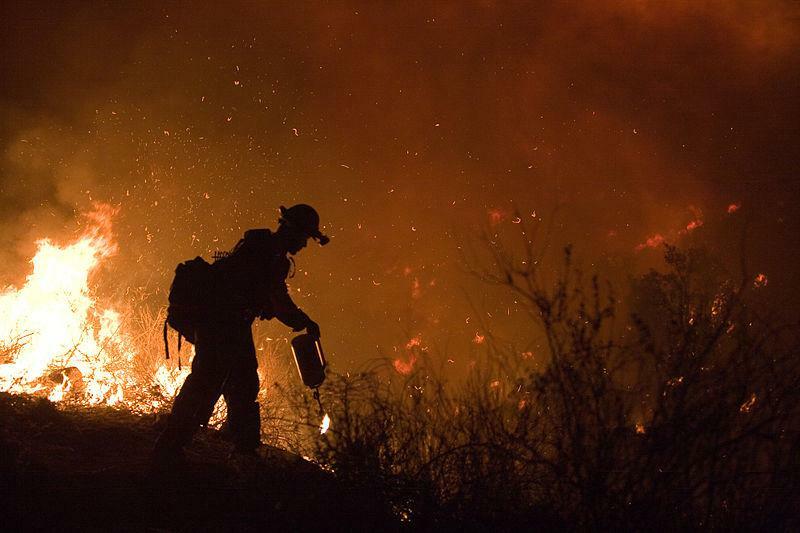 Dr. Douglas Morton puts wildfires in perspective. Anyone with concerns about wildfires might be heartened to hear that there are fewer of them worldwide. NASA satellite images show a decline in fires over the last two decades. Which sounds like a good thing, until you remember that fires are necessary to thriving ecosystems, and fewer fires often means more human development. J.J. Corbett, Roger Brandt, and Mark Corbet talk about smokejumping history. A profession as dangerous as smokejumping--parachuting into remote areas to fight fires--is bound to suffer a few casualties. Malvin Brown was the first man on record to die as a smokejumper; he died in training near Roseburg in 1945. 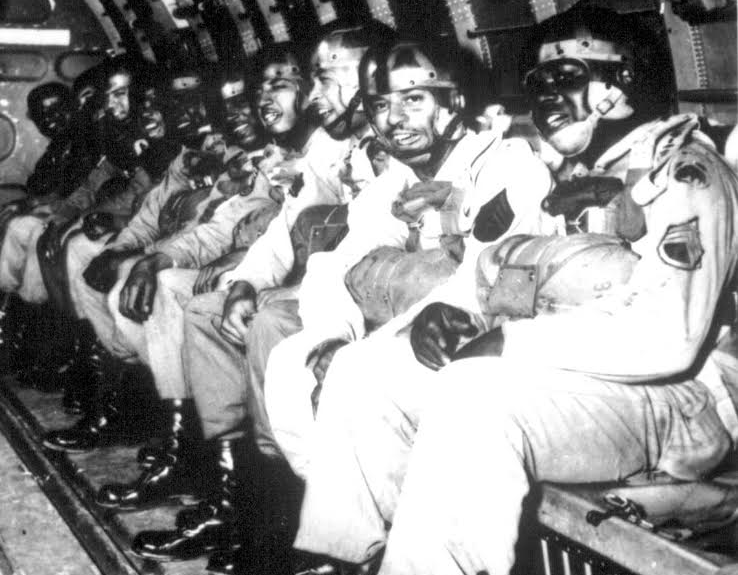 Brown was a member of the 555th Parachute Infantry Unit in World War II, composed of all African-Americans. He and other jumpers will be memorialized in a plaque at the Siskiyou Smokejumper Base Museum near Cave Junction in early June. Margo Robbins and Will Harling talk about ancient fire practices. Think of TEK as a combination of the very old and the very new. It's an acronym for Traditional Ecological Knowledge, like the knowledge of land management gained by indigenous people over thousands of years. TEK practices are still very much valid today, including in fire management. Margo Robbins is a member of the Cultural Fire Management Council of the Yurok Tribe, and she joins other fire managers at this week's Klamath Fire Ecology Symposium. Jennifer Balch speaks of fires. Every summer, we listen for the most basic facts about any wildfire: human- or lightning-caused? Human-caused does not necessarily mean deliberate; it just means the activities of people started the fire. And a new scientific study shows that humans have it all over lightning as starters of wildfire: 84 percent of wildfires trace back to human causes. Jennifer Balch at the University of Colorado is the lead author of the study. Hugh Safford and Kevin Welch explain their findings. 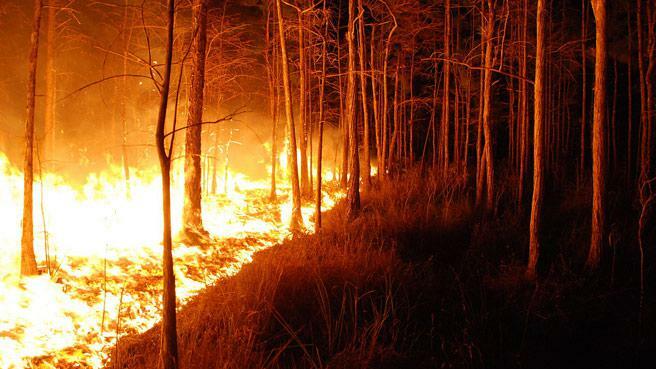 Ideally, an area burned in a forest fire can be left alone, and the forest will regenerate naturally. But not all fires create ideal situations. In fact, the large, hot fires of California appear to stall the regeneration of conifer forests. 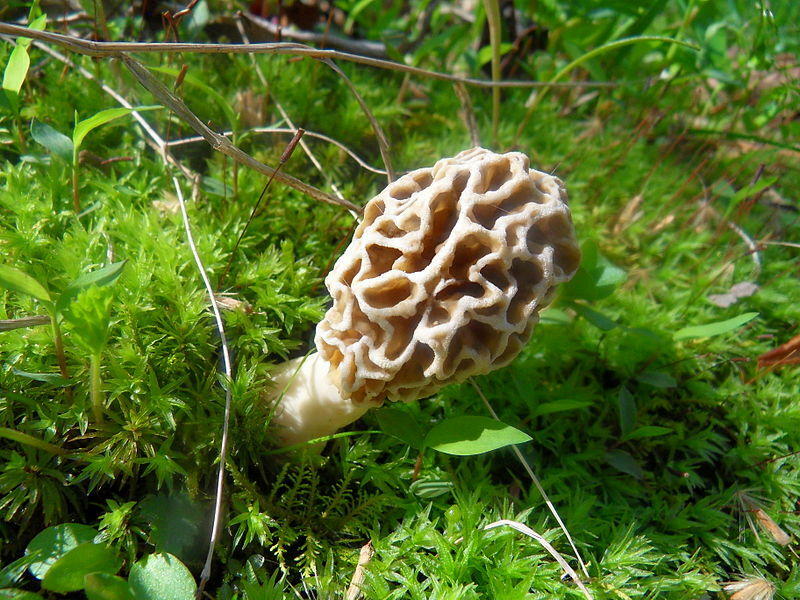 That's the finding of a joint study of the US Forest Service and the plant sciences department at the University of California-Davis. If conifers do not grow back naturally, how should humans help? Lenya Quinn-Davidson and Amanda Stamper explain WTREX. This has been the year of the TREX on The Exchange. We just learned a few months ago about wildland firefighters gathering for training exchanges, which they abbreviate TREX. Unfortunately, it's pronounced "treks" and not "t-rex". Anyway, we get to add a W, to make WTREX, because there are training exchanges for women. The very first WTREX just wrapped up in Northern California, after giving women firefighters and managers a chance to sharpen skills and compare notes. The University of California and The Nature Conservancy were among many partners in this TREX. 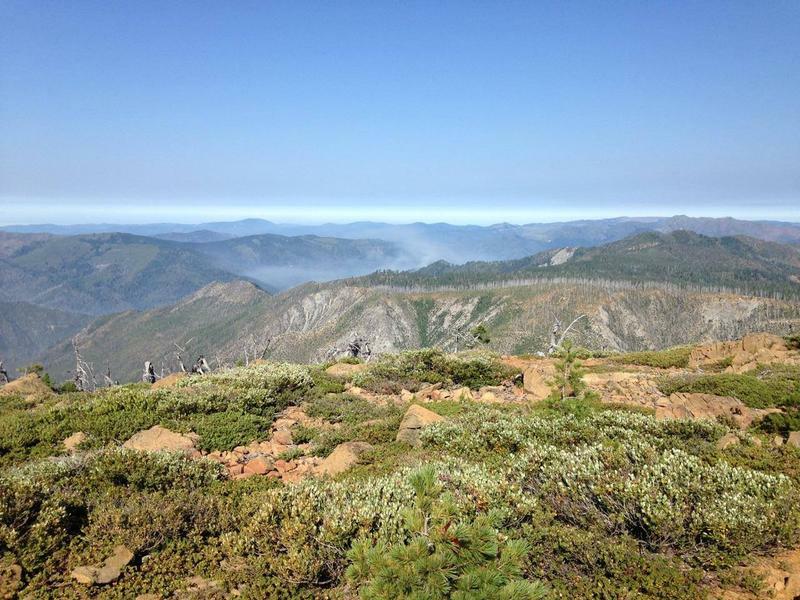 Sophie Neuner and José Luis Duce talk about fires and the Klamath country. 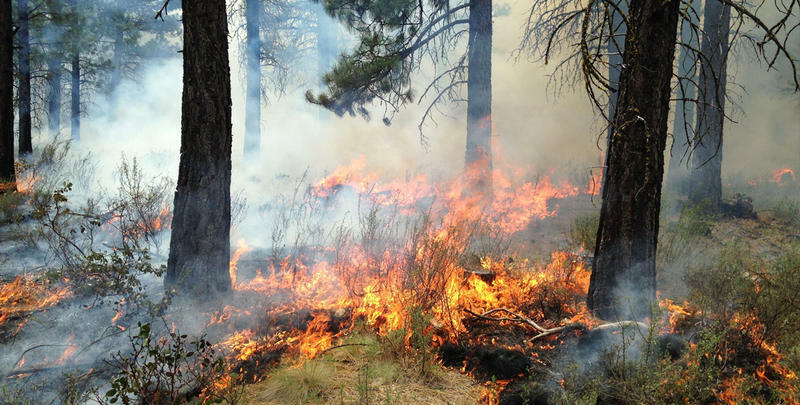 Even in relatively quiet fire seasons like the one just past, you can count on the Klamath National Forest for at least a couple of tough fires. 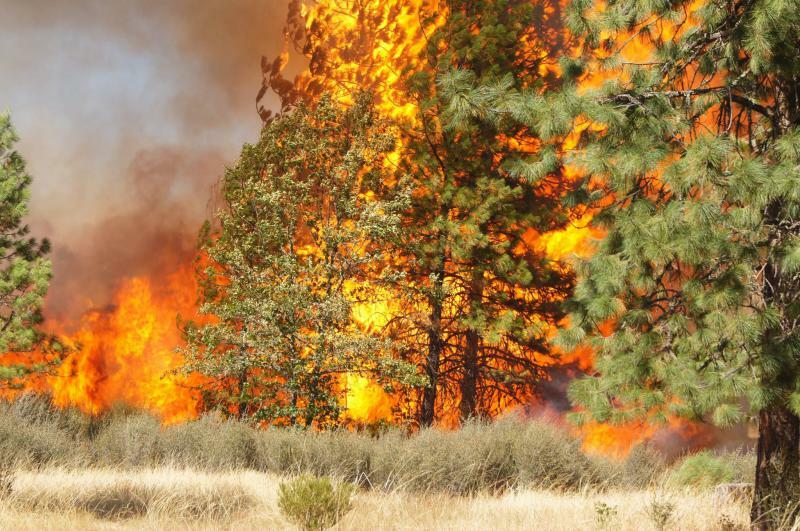 Rugged terrain and hot, dry summers make the Klamath River country highly prone to wildfire. So it should come as no suprise to find people training there now, with an emphasis on prescribed fire. A TREX--Training Exchange--is currently underway, with a focus on protecting communities from wildfire.